Perfect slice 8pc silicone sleeve set. Guideline grid lines the edge of this innovative cake pan to aid even slicing. 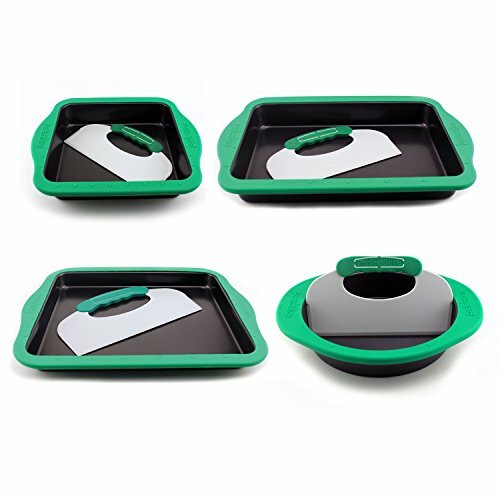 Perfect slice bakeware is more than quality baking pans; it's also a convenient cutting system. The unique guideline grid around outer edges of every pan allows you to line up the cutting tool, and press down to create any portion size desired. Every slice is beautifully uniform.